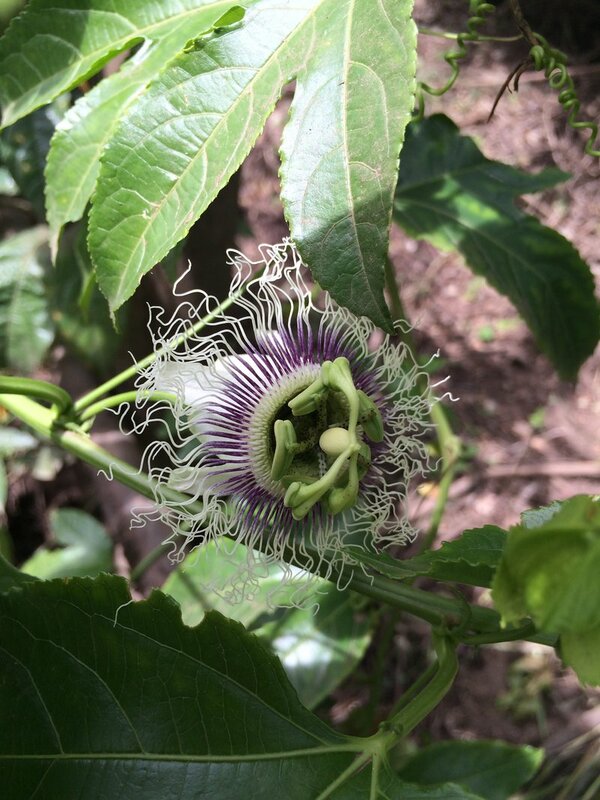 Passionfruit can take 12 to 18 months to fruit after planting, but patient care will be rewarded with beautiful flowers and tasty, aromatic fruit. Passionfruit is similar in flavor to guava. Its juice is enjoyed on its own or mixed with other tropical juices, and the pulp is used in sauces, gelatin, candies, jams, ice cream, and pastry fillings. The ovoid fruit is 4 to 7 cm in diameter and contains high levels of vitamins A and C.
There are both purple (Passiflora edulis), and yellow (Passiflora ligularis) forms of passionfruit. Both kinds of passionfruit are called by other common names, including granadilla, maracuja peroba, and linmangkon. Purple passionfruit is best suited to subtropical climates, whereas yellow varieties grow best in hotter, more humid tropical climates. Fruits of the purple form, as the name implies, turn dark purple or black when they mature. The skin also wrinkles when the fruit is mature.